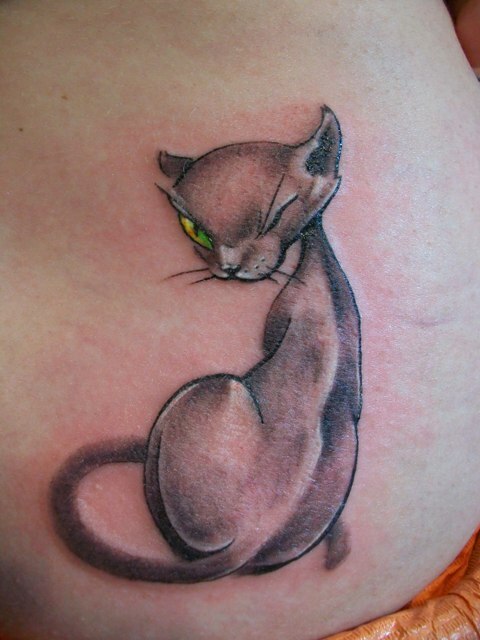 Elegant and lovely cat tattoo - love it! The cat looks vaguely familiar, so it might be a well known cartoon character, but I'm not sure. I admire the kitty's elegant lines and sparking green-yellow eye. What a delightful tattoo to have!